Welcome to this week’s performance! The sumptuous curtains have been pulled back so you can catch a glimpse of a wonderful and varied cast of characters, divas and arias. Opera is the most colourful realm of musical drama. When text, (libretto) and music (usually singing) combine, it can result in heart-stopping moments of exquisite human expression. I’ve always enjoyed classical music, even as a youngster, but it’s only been in the last decade that I’ve really come to appreciate opera more fully. I must have matured and grown into the art form. My mum took me to see Puccini’s romantic tragedy, ‘La Boheme’ at the Royal Opera House when I was about eighteen; we sat up in the stalls, almost in the roof if I recall. I don’t remember who the singers were – but I do remember their passion. I loved the drama, the costumes, the live singing and music, but still it wasn’t until a good few years later I went to see Madame Butterfly, again at the Royal Opera House. We had better seats this time. Kleenex tissues were very much in demand during that performance! The first known surviving opera was written in 1600 to celebrate the wedding of Marie de’ Medici and Henri IV of France, and was composed by the duo ‘il Romano’, Giulio Caccini (1551-1618) and Jacopo Peri (1561 – 1633). L’Euridice is more of a drama set to music with some divine choral sections; the first attempt to combine text by Ottavio Rinuccini with vocal music. This type of early performance; a fusion of music with solo vocals and choral ensembles to combine both literary and visual arts evolved over 400 years, into the opera we are familiar with today. 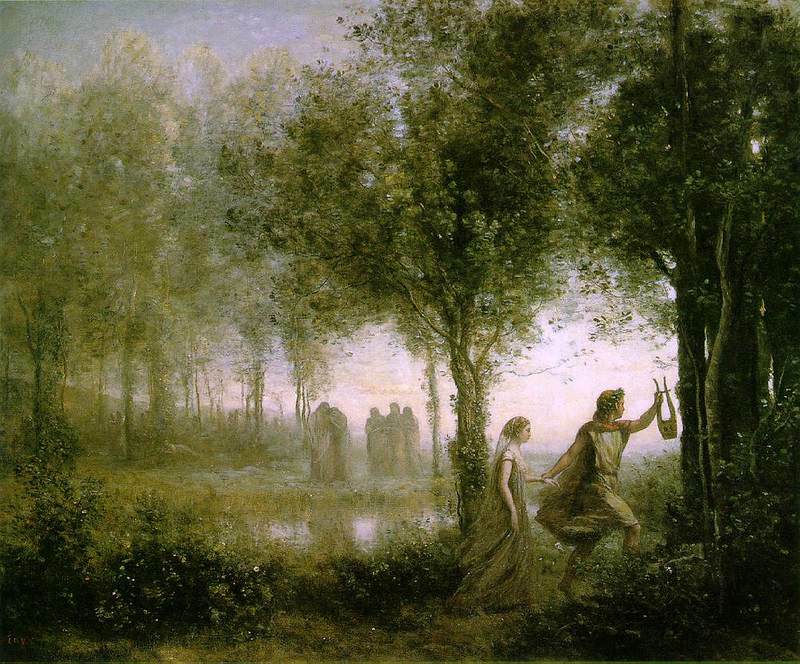 Over a century later composer Christoph Willibald Gluck would become inspired by the ancient Greek mythical tale of Orpheus, son of Apollo; legendary musician, poet and prophet (bard for that matter). His music dramatises Orfeo’s journey to Hades to appease the furies with his music in order to bring his new bride, Eurydice back to life, in his 1762 opera, Orfeo ed Euridice. It was a box-office hit in Vienna when it premiered at the Burgtheater on 5th October, and was then revised and expanded further by Gluck for its French premiere at the Paris Opéra on 2 August 1774 as Orphée et Eurydice. Offenbach wrote his operetta, ‘Orpheus in the Underworld’ in 1858 as a satirical send-up of Gluck’s earlier opera. The ‘Infernal Galop’ from Act 2, Scene 2, is infamously referred to as the ‘can-can’. Saint-Saëns took poetic license with the Galop, by slowing it to a crawl, and arranging it for the strings to represent the tortoise in The Carnival of the Animals. I really have the urge to don stockings and kick my legs right now! The great Baroque opera composers were Händel, Purcell, Monteverdi and Vivaldi, who I think must have written as many operas as I’ve had hot dinners! Monteverdi’s music marked the crossover from the late Renaissance to early Baroque, and he also wrote an opera about, yes, you guessed it, Orpheus! 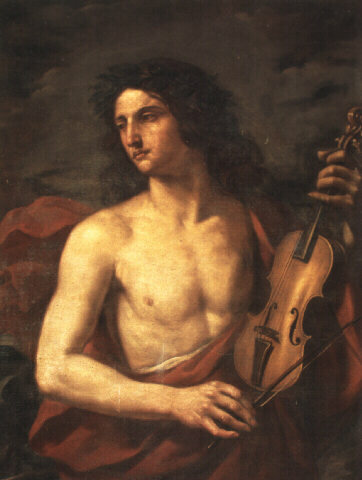 ‘L’orfeo’ was written and first performed in Mantua in 1607. In fact, I was flabbergasted to learn that a total of 71 Orphean operas (not all completed) have been written between 1600 and 2015. Georg Friedrich Händel composed 42 operatic works of varying genres that were written between 1705 and 1741. He achieved great success with his operas after he settled in England. Many of his works were premiered at the opera house in the Haymarket, initially the Queen’s Theatre which then became known as the King’s Theatre. His partnership with Venetian librettist, Lorenzo Da Ponte created some of the most memorable operas ever written. From the tale of the philandering rake, Don Giovanni, to the complicated marriage of Figaro, to the outlandish Magic Flute with a psychotic Queen of the Night, as well as others such as Idomeneo, Cosi fan tutte, La Clemenza di Tito, Mitridate, Lucio Scilla and Zaide to name but a few. Dear Ludwig only wrote one opera in his lifetime, about a dutiful wife, Leonore, the early title of the work that would become known as ‘Fidelio’. It contains his hallmark themes of heroism and courage at its core. Leonore disguises herself as a prison guard in an attempt to rescue her husband, Florestan, from death. Marilyn Horne – Abscheulicher! Wo eilst du hin? 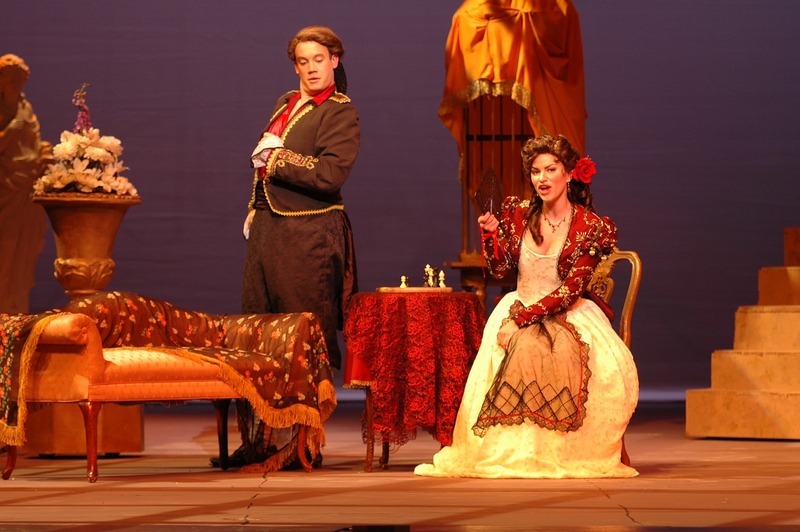 His iconic opera, Carmen, based on the eponymous novella by Prosper Mérimée, about a feisty and fickle young gypsy woman who captures the heart of a soldier, Don Jose, is one of my favourites. It broke with convention at the time of its premiere in March 1875, and was received with indifference. However it has become hugely in popular over the years. It has many wonderful, memorable arias and evocative orchestral music that capture its passionate and tragic themes: the key ingredients of unforgettable opera. 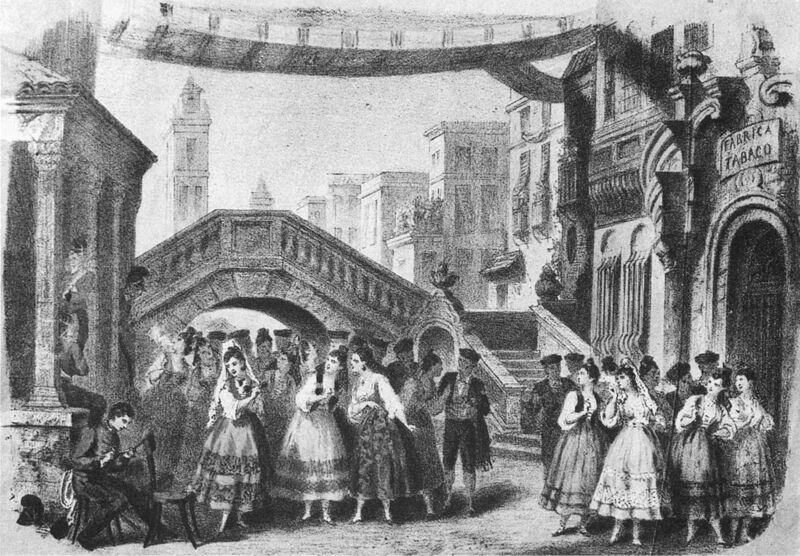 Bizet’s Carmen has also provided inspiration for ballets and instrumental music. The Italians are in the house! Somehow the dramatic nature of opera suits the Italian psyche, after all, it originated there, and none were more successful in this genre than Guiseppe Verdi. He composed famous operas such as the romantic tragedy La Traviata, the epic Aida, Rigoletto, Nabucco, Otello, Il Trovotore, Macbeth, Falstaff, La Forza del Destino, Simon Boccanegra and many others. Hot on his heels is Giacomo Puccini, a true romantic at heart. 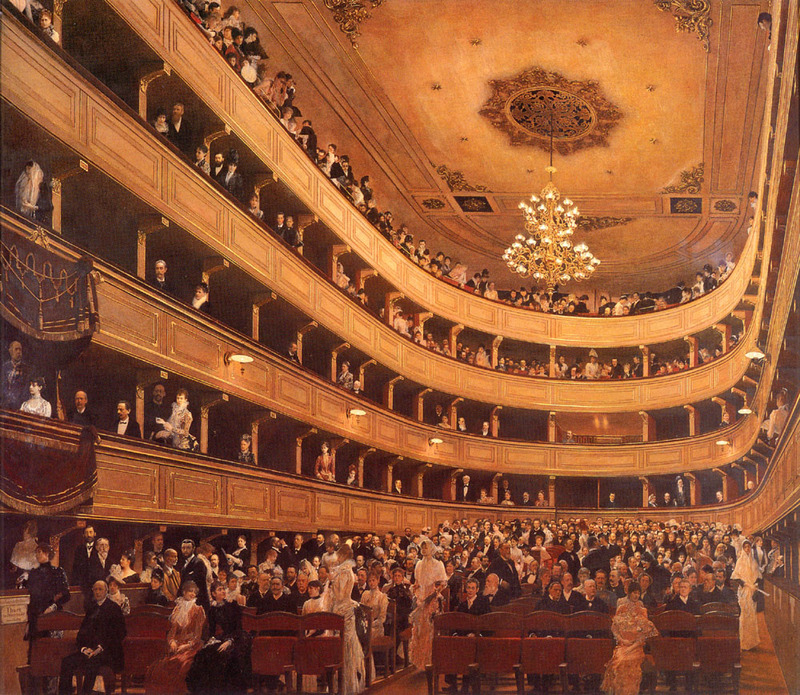 Among his best-loved operas are, Tosca, La Boheme, Turandot, Madame Butterfly, Manon Lescault and Gianni Schicchi. We musn’t forget Gioachino Rossini, who penned some very memorable tunes, including The Barber of Seville, La Cenerentola, William Tell, La Gazza Ladra and Otello. Italy produced the finest tenor in opera history with Luciano Pavarotti. That man was born to sing! For me, no one can top his powerful, emotive and distinctive voice. We perhaps think of his wonderful, warm, lush violin concerto, his romantic symphonies and his immortal ballet music, but this Russian heavyweight wrote a grand total of eleven operas, his most popular being Eugene Onegin. Probably the closest rival to Verdi for the King of opera crown, Richard Wagner’s operas were usually epic in subject matter, long, very long, with romantic music, involving lovers, mythical characters, gods and large ladies. And did I mention long?! Brünnhilde is an icon in her own right. So much so, she was even featured in a cartoon! When it comes to Wagner I can only listen in small doses. I’ve often joked that the ears can only enjoy for as long as the derriere can endure! Wagner’s 13 impressive operas: Die Feen, Das Liebesverbot, Rienzi, Der Fliegende Hollander, Tannhäuser, Lohengrin, The Ring of the Nibelung (Das Rheingold, Die Walkure, Siegfried and Gotterdammerung), Tristan und Isolde, Die Meistersinger and Parsifal. I hope I have manged to give you a well-rounded introduction to opera if you’re not already a bit of an enthusiast, in which case you probably know more than me! Of course there are those who poke fun at opera, even muscians! But we’ll let the irreverent Victor Borge off the hook; after all he was incredibly funny. A night at the opera like no other! I’ll probably re-visit opera again one day, there’s far too much to cover in one post, and I know you’ve all got things to do and places to be.